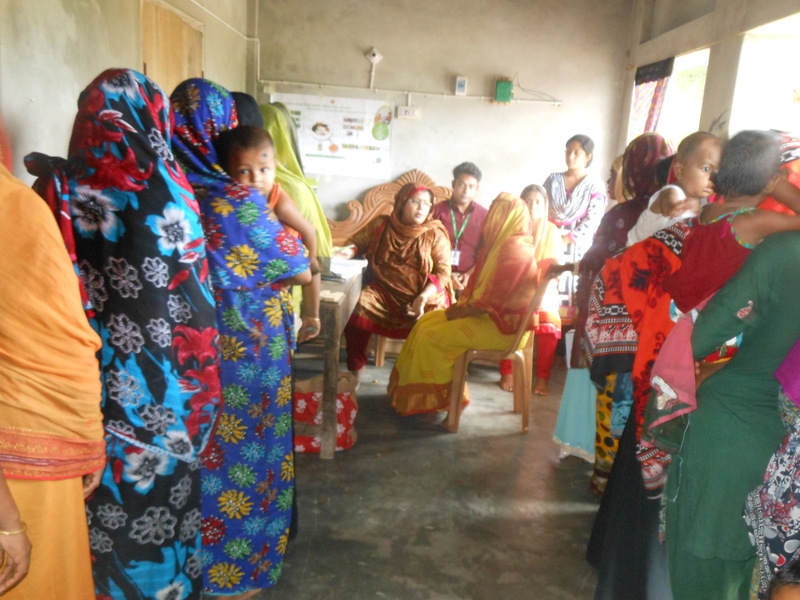 SPRING has helped in bringing health care within reach for many families in Southern Bangladesh. Through its partnership with the USAID-DFID NGO Health Service Delivery Project (NHSDP), affectionately known as “Surjer Hashi”, SPRING is helping bring health care to the doorstep of remote rural communities. Through this partnership, health services that were previously inaccessible to these vulnerable rural communities have now been made accessible. The two projects have started an important new campaign to organize special satellite health camps in remote working areas common to both projects, particularly where government services are hard to reach. 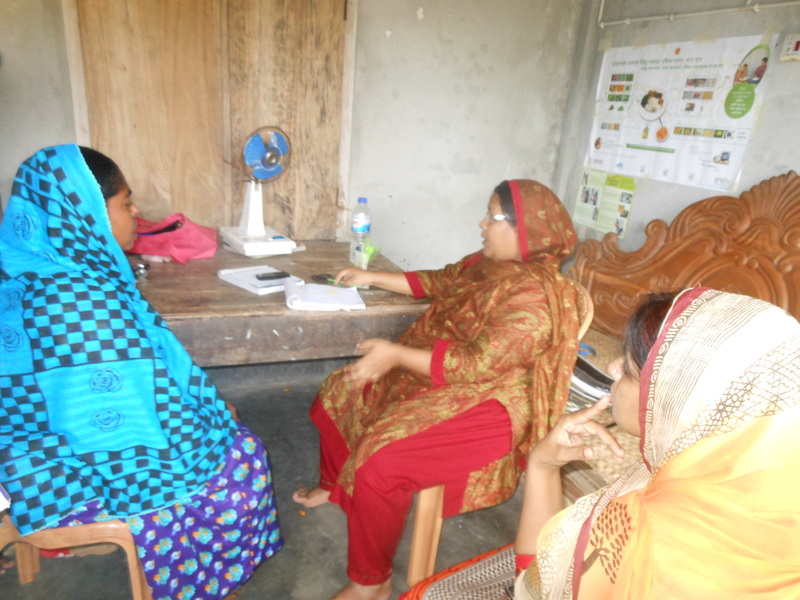 SPRING and NHSDP are using a referral system in geographic areas of overlap, where households in SPRING’s Farmer Nutrition School (FNS) can be encouraged to patronize NHSDP clinics for free or subsidized maternal and child health services when in close proximity. 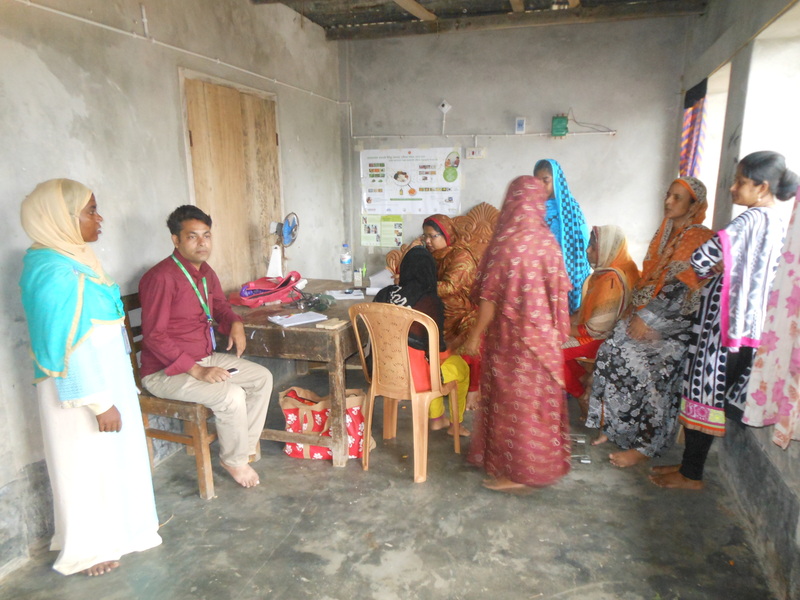 SPRING and NHSDP have already conducted two special health camps. 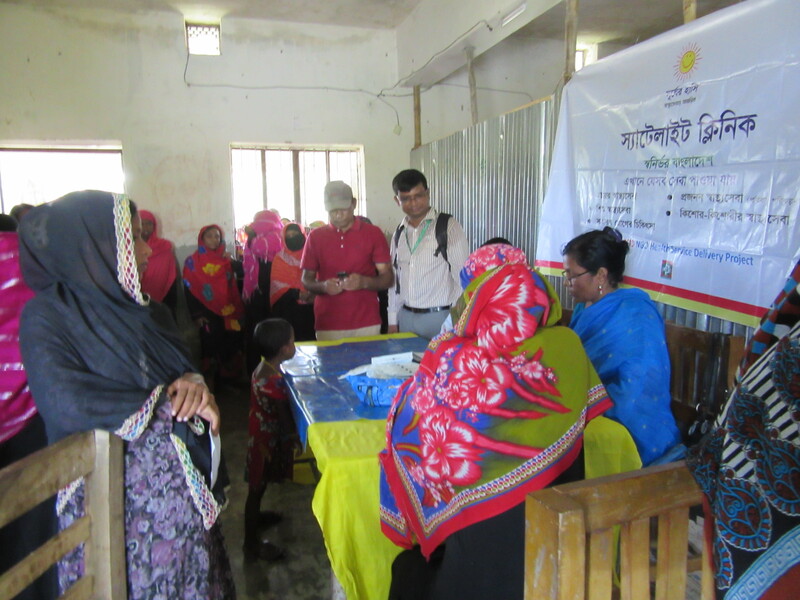 In Barisal Division, the special health camp took place on May 14 in South Bhodropur village of Char Fasson in Bhola District, and in Khulna Division, the special health camp took place in Dhumkalipur village in Bagerhat District on May 19. Nearly 200 people attended these camps, including members of SPRING’s FNS as well as other members of the villages. SPRING and NHSDP are hopeful that these camps will not only improve the access to important health care in these vulnerable, hard to reach areas, but that it will help these rural communities to have a brighter and healthier futures.